A girl aged 23 years old presented dark discolouration over her cheeks on both side since one year. Initially she had fever for week duration, the blood parameters suggested leptospirosis positive. Then she developed rashes all over the body with itching. 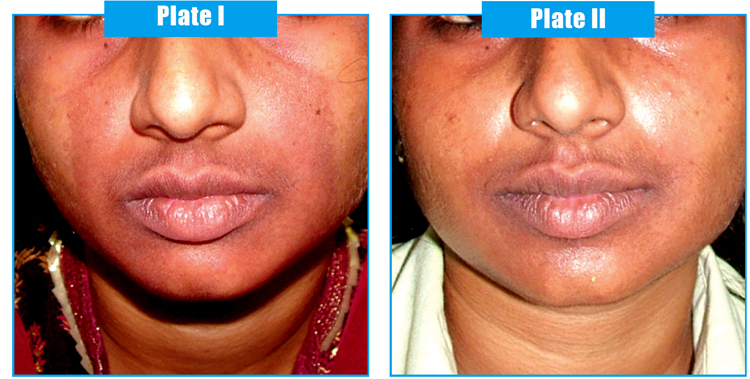 After a month she had itching in the right cheek followed with dark pigmentation. 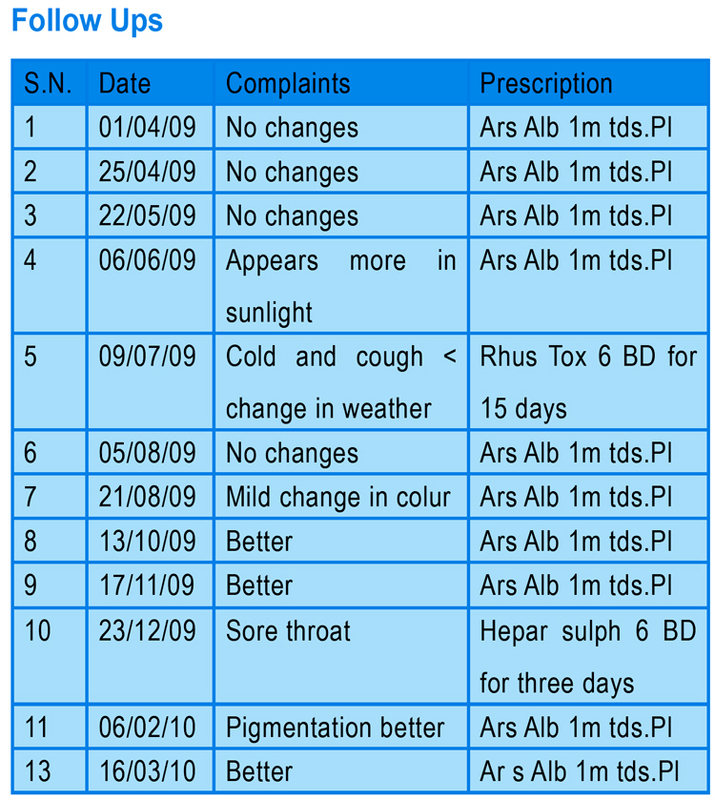 She rushed to a dermatologist, the beuty clinics and final coice as Homoeopathy. • H/o Tonsilitis in childhood. Menarche at the age of 14th year.